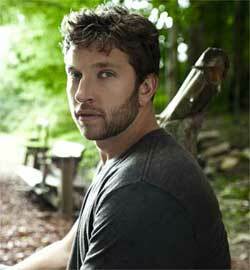 Rising star Brett Eldredge will make his Grand Ole Opry debut on Friday, October 29th. Hailed by CMT as the “Next Big Thing,” Eldredge will join the Oak Ridge Boys, Rodney Atkins and Joe Diffie in Friday’s lineup. Additionally, he will be introduced to the legendary Opry stage by renowned singer-songwriter Bill Anderson. “I have one goal—to be a member of the Grand Ole Opry,” said Eldredge. “To me, that is the highest honor you can be awarded as a country music singer. So, given the opportunity to perform for the first time ever on the Grand Ole Opry stage is truly a dream come true. Eldredge’s debut single, “Raymond,” is currently No. 44 on the Billboard charts. The video for “Raymond,” the story of the relationship between a young man and an elderly Alzheimer’s patient, can be viewed at vimeo.com. Opry tickets can be purchased here. ABC television network is going country in November in celebration of The 44th Annual CMA Awards, to be broadcast on Wednesday, November 10th at 8:00 pm ET. Starting on October 30th, the Road to the CMA Awards special will air on local ABC affiliates across the country. This half-hour program will be packed with artist interviews and highlights from past CMA awards and will have appearances from Miranda Lambert, Darius Rucker, Martina McBride, Trace Adkins and Josh Turner, among others. Newscaster Robin Roberts will host a special giving viewers an all-access pass into the lives of country music’s biggest stars, including Brad Paisley and Carrie Underwood. The hour-long special will air on Wednesday, November 3rd at 10:00 pm ET. On Sunday, November 14th, Carrie Underwood, Keith Urban and LeeAnn Rimes will join Extreme Makeover: Home Edition to assist Nashville’s Sweatt family. Brian and Barbara Sweatt were among the victims of the historic May flood, running the Lighthouse School which was devastated by the catastrophe. Other notable upcoming events include Jason Aldean’s appearance on Jimmy Kimmel Live on November 15th, Lyle Lovett as a guest star on Castle that same night, and Reba reuniting with TV daughter JoAnna Garcia on Better With You on November 17th.